In an interesting new collaboration French luxury fashion house Kenzo has teamed up with Japanese design studio nendo. The studio is best known for its household items and furniture designs, yet has ventured out into several other fields recently. 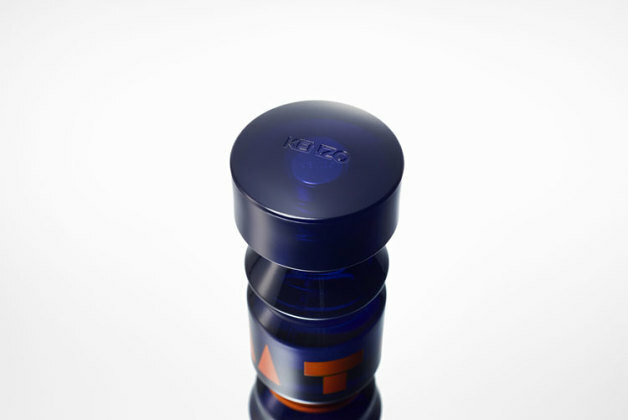 For Kenzo’s new Totem unisex fragrance, nendo has both designed the bottle and the logo. 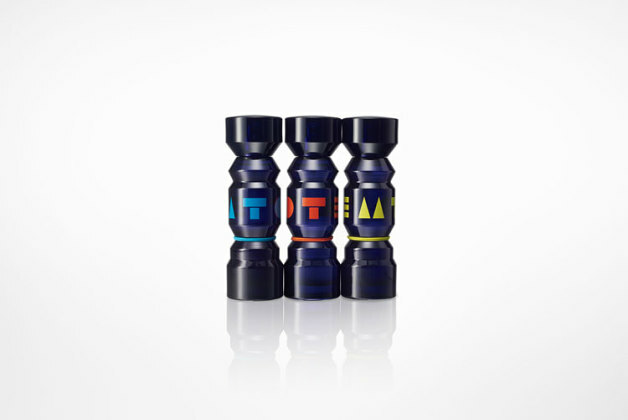 “The bottle is made out of dark purple glass, and the various layers of its form resemble a traditional totem pole, while the bottle and cap merge into one another to create an overall solid and monolithic design.” The fragrance is available in 3 variants, only differentiated by a simple colored string: woody citrus yellow, woody floral orange and woody fruity blue. With the logo nendo has taken a similar approach, keeping it simple, yet bold at the same time with the use of a square, circle and triangle. Look out for the new fragrance to arrive with retailers soon. Posted in BEAUTY, HOME and tagged bottle, fragrance, igers, kenzo, logo, luxury, mensblogger, Menswear, nendo, Paris, perfume, style, totem. Bookmark the permalink.